The 2019 registration is now open. The public is invited to attend this horticulture-based adult educational event. This event includes a guest keynote speaker, many professional educators, Master Gardeners and an exhibitor fair. Shop for great values on perennials, annuals, vegetables, herbs, native plants, houseplants and more while supporting the programs of the Anoka County Master Gardener program. There are thousands of plants to choose from. There is plenty of parking nearby. Come early as some selections run out quickly. 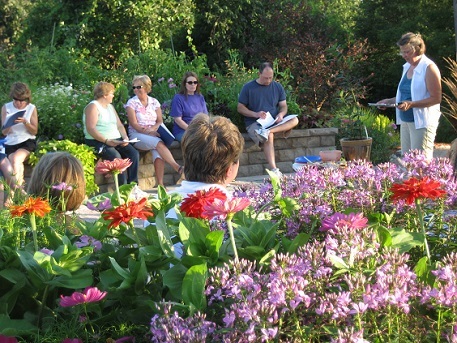 Enjoy summer evenings in the beautiful Veterans' Peace and Memorial Garden learning about a variety of gardening topics at the Anoka County Parks Bunker Hills Activities Center location. Classes are free but space is limited. Click to Register Online.